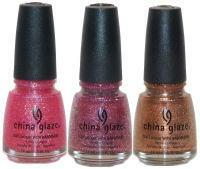 China Glaze captures the vivid and saturated hues of the 1940's with this seductively complex palette.The classic shades of the season recreate the timeless tableau of movie land mystique, perfected red pouts and steamy nights where swing was the scene. Multi-facted jewel tones, rich reds, titillating taupes and smoldering sands deliver a major dose of high octane 40's era glamour and a sophisticated edge. No matter where you are this summer, China Glaze takes you poolside with 6 new juicy neons.Vibrant colors add bright, dare to bare deliciousness to your manicure and pedicure. Dip your toes (and fingers!) into a bolt of lightening blue, kiwi cool-ada green, poppy pinks and candy-colored citruses.Bold, brilliant polishes are the perfect accessory to any summer wardrobe!. In these tough times, it is no wonder that we have a nostalgic craving for the good old days when things were simpler and well...more fun! 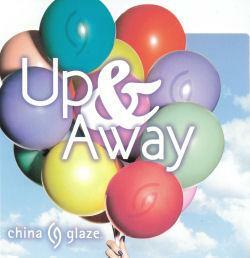 This Spring, China Glaze takes you Up & Away to an uncomplicated place filled with creamy color happiness. Popping with optimistic brights and sweet melt in your mouth pastels, the rich creme formulas reflect the hottest feel good colors of the season. 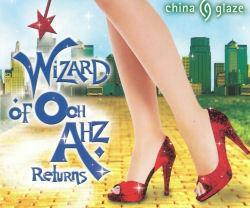 Dorothy, you’re not in Kansas anymore!This holiday and winter season, click your heels and step out in dazzling style with 6 of Dorothy’s high glitter, high pigment nail lacquers. 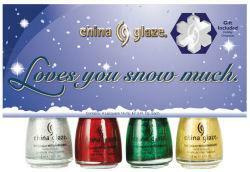 Originally introduced by China Glaze in 2001, this sparkling specialty collection was brought back by popular demand. Molten metallics shine in reflective feminine hues. 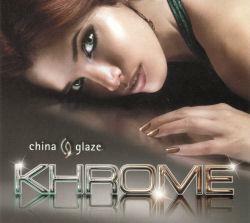 China Glaze has taken the hottest trends in fashion, cosmetics and hair care and created innovative new colors just for you! 50 new glamorous glitters, sumptuous shimmers and luxurious cremes allow for the ultimate in self-expression. There are never ending options and combinations. 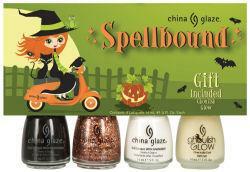 Halloween four piece set with new Spellbound glitter topcoat. 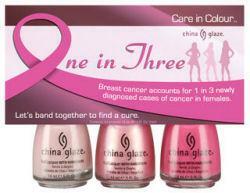 Breast cancer accounts for 1 in 3 newly diagnosed cases of cancer in females. Let's band together to find a cure. Color, without our realizing it, can have a profound effect on how we feel both mentally and physically. Everything and anything vibrates color and, if you are in contact with it enough, it will influence you. 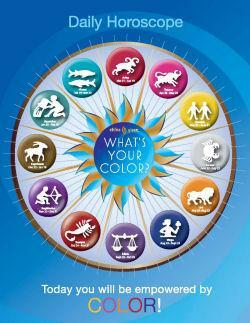 Based on Astrology, every birth sign has power colors which help instill different spiritual, physical and emotional traits and since we like to live in colour™ you know we have a color for everyone! Aquarius: Custom Kicks – Turquoise, helps to quiet the mind and soul. If you want something innovative and new, consult an Aquarius. Aries: Salsa – Red, is the color of love, fertility and energy. You are courageous, you persevere and you love to be part of the action. Cancer: Platinum Silver – Silver, suggests optimism. Peace flows from you and around you. Capricorn: Unplugged – Brown, is for protection and a sense of being surrounded and secure. Rock steady and sure. Gemini: Solar Power – Yellow, signifies agility of mind, intellect and inspirational thought. Mellow and contented, people come to you for advice. Leo: Code Orange – Orange, emits positive vibes of well-being, warmth and optimism. You keep life interesting with your sunny outlook and love of motion. Libra: Spontaneous - Lavender, acts a as a tonic, balancing the mind, body and sprit. Somehow, you keep everything together, even in crazy times. Pisces: Passion in the Pacific- Sea Green, indicates knowledge, self respect and spirituality. Because you take time to reflect, you are compassionate and non-judgmental. Sagittarius: Coconut Kiss – Purple, denotes creative energy and spiritual wisdom. You keep your head when all around lose theirs. Scorpio: Hearts of Africa- Dark Red, gives power, strength and sociability. Yow, you’re a lover, not a fighter. Taurus: Rich & Famous – Pink, protects and brings peace of mind. You’re a social butterfly, secure in yourself and with a warm personality. Virgo: Bermuda Breakaway – Navy, instills self –confidence and helps steady nerves. Virgo, everyone wants you on their team.